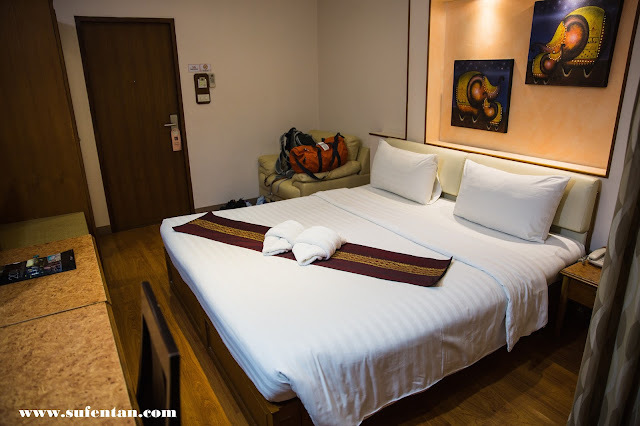 I'm going to share about the place I stayed recently in Bangkok. 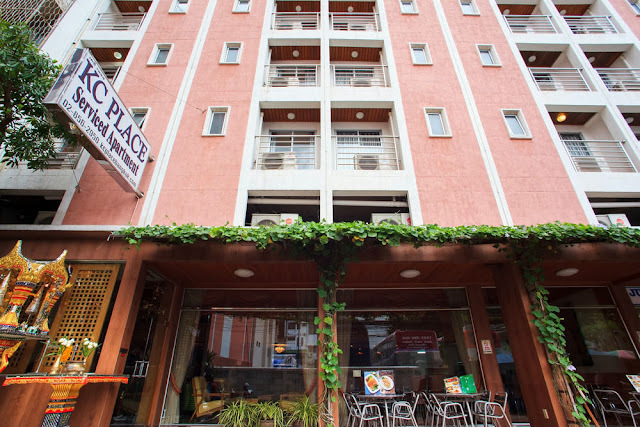 It is a service apartment that is near to Ratchaprarop Station, convenient for us who travel from Suvarnabhumi Airport. It is just 3 mins walk from the train station and less than 10 mins from Platinum Mall. I booked the Deluxe room for two nights, cost only RM 133 per night including tax & fees. 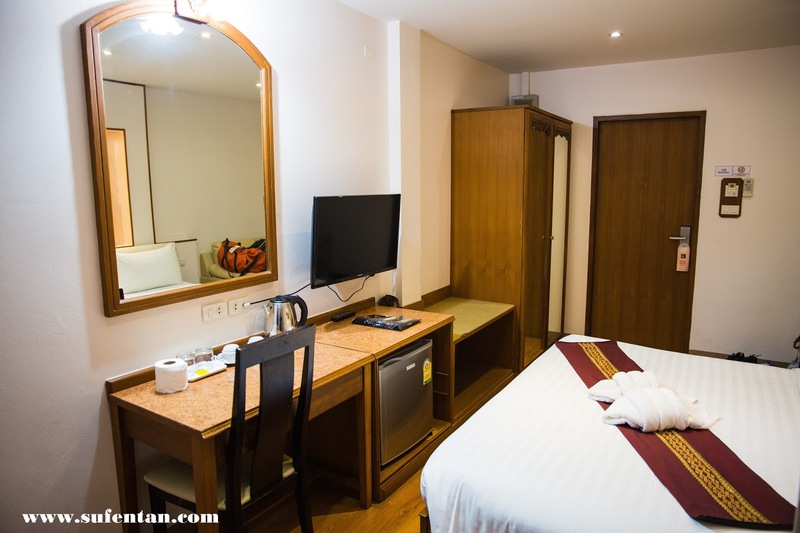 There are 4 types of rooms- Standard room, Standard with balcony, Deluxe room and Deluxe Family room. 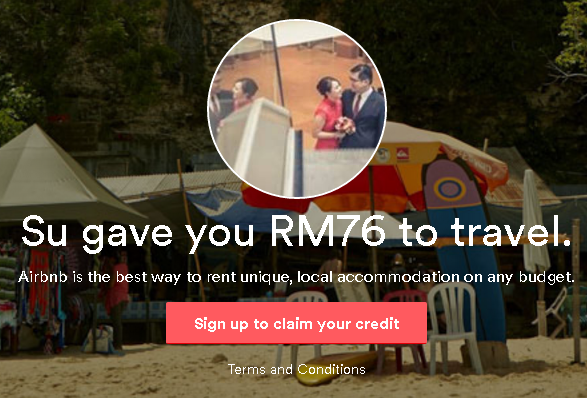 Rates start from RM 120 -RM 450++ depends on seasons. I booked the room from Expedia as it was the lowest among during that time. The room is not as big as I expected, around 30 m² in long dimension. Basically if you have two big luggage, it block the whole walk path. The down side about the place is if you stay the highest floor, you need to take the stairs to walk up as the lift will stop at the second highest floor. The staircase is very narrow too, it is hard if you have big luggage to carry. 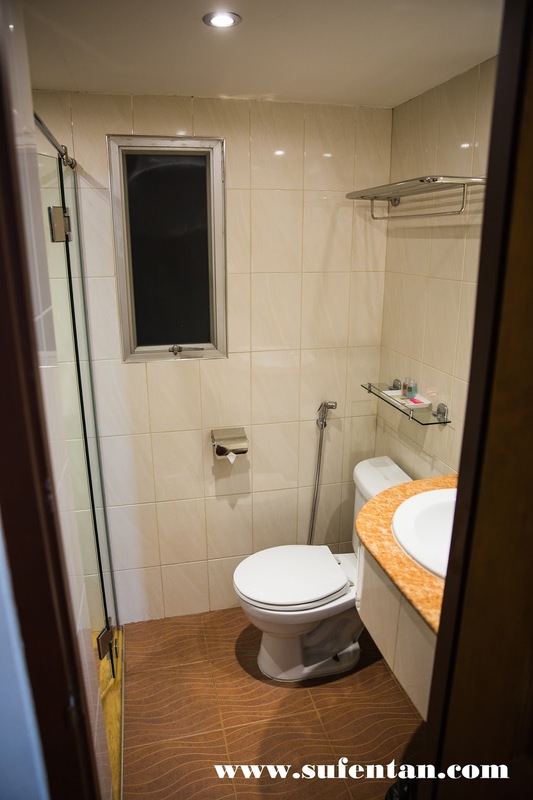 The toilet and bathroom are separated. The hotel only provide shampoo and body wash. 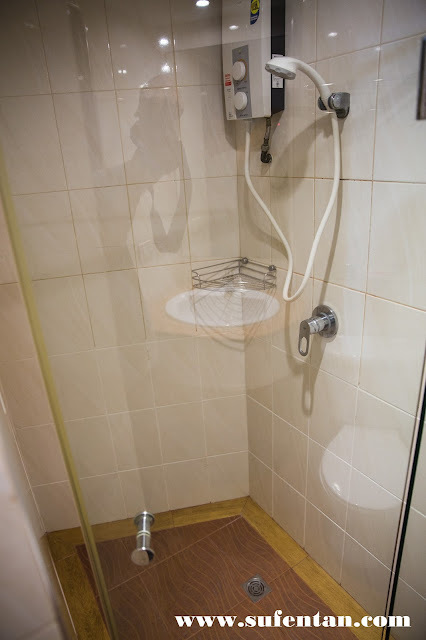 Recommend to prepare you own toiletries or you can get from the mini market beside the hotel. The room I booked do not come with breakfast, however you can have breakfast at their restaurant at ground floor. There is also a Thai massage shop at the lower level of the hotel, very convenient. You will need to make an appointment if it is after 6pm. Even though, the room is small and staircase is narrow, we are quite satisfied with the service and location. It is a convenient place to stay and value for money. If you are planning for shopping and outing whole day in Bangkok, this can be a good place to have a sleepover. But if you are spending most of the time in room, I would skipped this place.